Please join us for the next Richwood Place Civic Association (RPCA) General Meeting, to be held at 7 PM on Tuesday, September 11 at Star Pizza across Shepherd Dr. The draft agenda is attached. I have also attached the General Meeting minutes from the Q1 2018 General Meeting. If you have additional topics you would like discussed, please bring them to the meeting. Come and join your neighbors for some pizza and to discuss topics relevant to the neighborhood. We look forward to seeing you there. 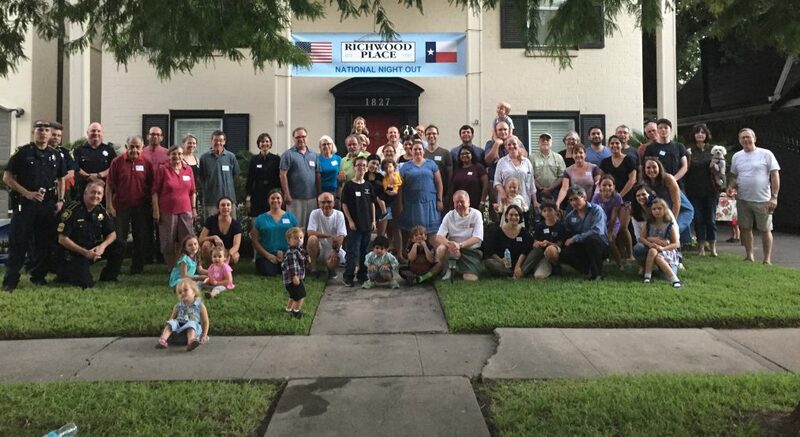 RPCA sponsors various neighborhood events and projects, including the annual Spring Block Party and the upcoming National Night Out in October. All are welcome to attend.